Sometimes knowing you have a leaky roof is obvious. Dripping water or puddles on the top floor or water spots on the ceiling are a few of the most apparent signs of a leak. Before any major damage can occur, we at The Roofing Authority, one of the best roofing companies in the Vero Beach area, would like to give you this handy guide and hopefully save you some time and money. 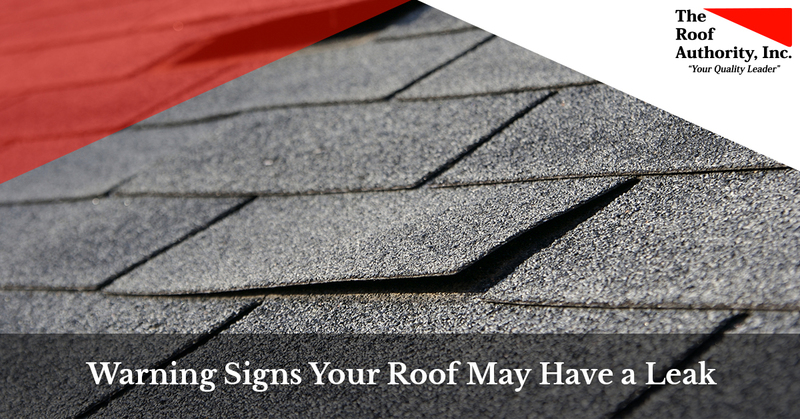 It may be hard to see from the ground, but your roof may have a few shingles missing, especially after a rough storm. If you have a ladder and can safely get up to or on top of your roof, you may want to inspect the top of your house every so often to make sure you don’t have any missing patches or strips of shingles. Water can seep into these missing areas and drip down into your house, causing water damage from the top down. If your shingles have cracks, deep gouges, holes or are missing pieces, then it is definitely time to replace them. Much like missing shingles, damaged shingles will allow water to pass through them and travel down into your house. Older shingles that may not look worn out will be harder to spot from further away. They’ll typically show signs of aging in the form of cracks or holes. If you’re inspecting your roof after a large storm or believe there may be structural damage to your house, we recommend calling us before you get on top of your roof. Remember, just because you can’t see the damage doesn’t mean it isn’t there. Call The Roof Authority, and we can come inspect your roof safely and efficiently. Another warning sign that may be hard to see from the ground is mold and algae which like to grow in warm, humid ecosystems. This makes Florida a prime location for mold growth on roofs. Mold can start growing when certain fungi come into contact with your roof, usually occurring through the air or dropped by a carrier like a bird. Though mold growth may not damage your shingles, it can hurt you and your home if it enters your house. Mold can break down your house, causing it to rot from the inside out. Some molds can even cause respiratory problems for people. If you see mold growing on your roof get it inspected immediately before the problem spreads into your home. Flashing is metal or some other waterproof material used to prevent water from getting into cracks and crevices. Usually it’s placed in the corners or the very ends to keep water from accumulating and being absorbed by your home where there are no shingles to carry it away. This can also be placed around pipes and chimneys for the same effect. Flashing can be damaged from simple aging, weathering, or by collisions from debris thrown around by strong storms. In some cases, the flashing may not have been properly installed on your home in the first place. Without flashing installed properly around your home, water may enter your home via the natural corners and crevices that would otherwise be covered and protected. This process occurs naturally as the individual shingles shed loose granules. This can happen a lot in brand new roofs and is completely natural. However, in older roofs, especially ones with their original or highly aged shingles, granule loss can be a big problem. Granules help keep water moving and from being absorbed or bypassed by your shingles. If your shingles lose too many of their granules, they won’t be able to do their job properly. It may also lead to a buildup of sediments and dirt in your gutters, which can lead to other problems like flooding on top of your roof. If you see discoloration on your roof or if you see large deposits of shingle granules around your house or in your gutters, it’s probably time to replace your shingles. At The Roof Authority we have a highly knowledgeable and well trained staff that always has your family’s interests at heart. We’ve been one of the best roofing companies in the Vero Beach area since 1993 and don’t plan on slowing down anytime soon. Read reviews from some of our highly satisfied customers. Learn more about The Roof Authority or contact us today to get a free estimate for your home.